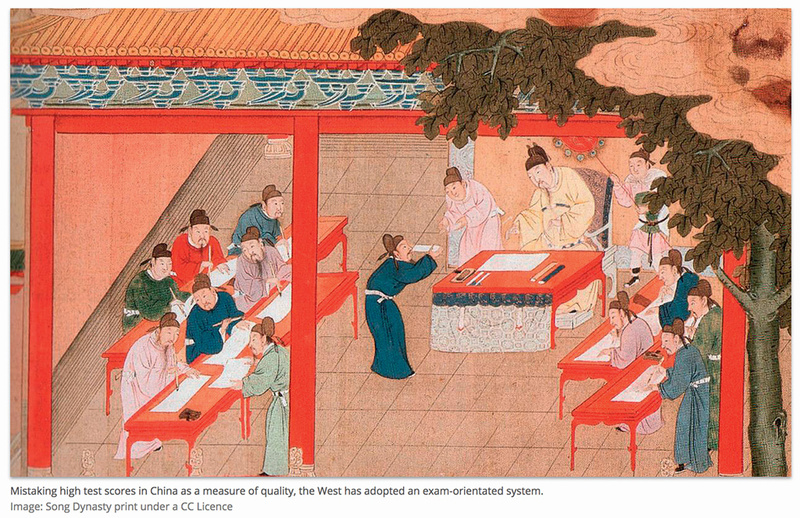 Yong Zhao’s article analyses the curious phenomenon of the West racing to copy Asia’s education system – mistaking high test scores for a true measure of quality – just when the East is scrambling to reform their damaging exam-oriented approach. Click here now to read this salutary warning for NAPLAN and testing enthusiasts. This entry was posted in Education and tagged China, education, NAPLAN by Brian Loffler. Bookmark the permalink.